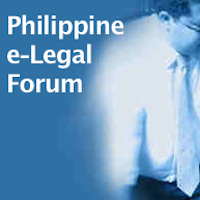 SUBJECT : GUIDELINES IN THE OBSERVANCE OF A RULE OF PREFERENCE IN THE IMPOSITION OF PENALTIES IN LIBEL CASES. We previously discussed that the two complaints for libel were dismissed as against RP Nuclei Solutions and Abe Olandres (Part IV). However, the cases were filed in court as against the two other individual respondents (Part III), who were the supposed authors of the allegedly libelous comments (Part II – basic facts). RP Nuclei Solutions, represented by Abe, filed a counter-charge for perjury (under Article 183 of the Revised Penal Code), which was consolidated with the two libel complaints (this simply means that the three complaints were joined and decided by the same Investigating Prosecutor). According to RP Nuclei Solutions, it is the owner of plogHost (ploghost.com), a web hosting service aimed at providing affordable and efficient ways to deliver web hosting services to the local market. RP Nuclei Solutions or plogHost claims that as such web host, it leases its servers to registered owners of websites or web logs (blogs), among others, and that a web host is entirely different from the registered owner of a website or blog. The charge for perjury is based on the allegation that RP Nuclei Solutions is liable for libel on the ground that greedyolddumbass.com is œowned and operated by the Respondent RP NUCLEI SOLUTIONS CORP. According to RP Nuclei Solutions, it is not the owner and operator of greedyolddumbass.com, contrary to the allegation of the complainant in the libel complaints. This is the fourth of a six-part series discussing two complaints for internet libel. As stated in Part I (Introduction), this part will focus on the resolution in favor of Abe Olandres and the RP Nuclei Solutions, Inc.
As noted in Part II (basic facts of the complaints), RP Nuclei Solutions, Inc. was impleaded as a co-respondent because it is allegedly the “owner” of the internet forum greedyolddumbass.com. The complainant subsequently acknowledged that RP Nuclei Solutions, as a juridical entity, may not properly be charged with libel. The complainant, however, impleaded Abe Olandres in place of RP Nuclei Solutions. In this part of this six-part series, we will discuss the defenses raised by the main respondent in one of the two libel complaints filed before the Pasig City Prosecutor’s Office. You may also read Parts I, II, IV, V, and VI. In his Counter-Affidavit, the main respondent claims that the complaint is merely a part of a sinister design to harass former employees who are trying to make their living away from the said company. Said respondent also claims that only members have exclusive access to greedyolddumbass.com. In the said internet forum, being exclusive, every member is open and free to express his thoughts in whatever topic. The allegedly libelous statements or comments, on the other hand, are merely expressions of outbursts common among Filipinos and that they are figures of speech. As noted in Part I of this series, the basic facts of the complaints are discussed here, in Part II. There were actually two complaints for libel – one for each of the two main respondents – before the Pasig City Prosecutor’s Office. The complaints are based on Article 353 of the Revised Penal Code, which defines libel as a public and malicious imputation of a crime, or of a vice or defect, real or imaginary, or any act, omission, condition, status, or circumstance tending to cause the dishonor, discredit, or contempt of a natural or juridical person, or to blacken the memory of one who is dead. The complaints stemmed from certain comments made by two individuals in the internet forum greedyolddumbass.com. According to the complainant, the messages posted are libelous because they tend to cause dishonor, discredit and contempt against the complainant, particularly in the following manner: (a) the message inculcate in the minds of the readers that the complainant mismanaged the company he is handling, which is highly prejudicial to the interest of the company; (b) one of the messages imputed that the complainant is the source of all â€œkasamaang nangyayari even from the original companyâ€ and that â€œsiya ang reason why we left the companyâ€, which, in effect, tries to destroy the good image and reputation of the company; (c) one of the messages even implicated the complainant’s family for being â€œWALANG KWENTAâ€; and (d) the use of the words “TARANTADO” and “GAGO” against the complainant are malicious imputations. RP Nuclei Solutions, Inc. was impleaded as a co-respondent because it is allegedly the “owner” of the internet forum greedyolddumbass.com. The complainant subsequently acknowledged that RP Nuclei Solutions, as a juridical entity, may not properly be charged with libel. The complainant, however, impleaded Abe Olandres in place of RP Nuclei Solutions. The recent incoming link (at my other site) from Abe’s site alerted me to his post on surviving a libel suit. Considering that the cases – there were two consolidated libel cases – had been dismissed as against Abe, and considering that there’s no motion for reconsideration/appeal filed by any of the parties involved (none that I know of), perhaps we could discuss these cases for reporting and academic purposes. This brief introduction on this series is Part I. The basic facts of the libel cases will be discussed in Part II. The defenses of the alleged individual authors, as well as the ruling of the Investigating Prosecutor as against them, will be discussed in Part III. The ruling of the Investigating Prosecutor in favor of Abe will be discussed in Part IV. The countercharge of perjury, as well as the ruling of the Investigating Prosecutor on this matter, will be discussed in Part V.
The analysis will be contained in Part VI. We see the explosion of e-groups, blogs, message boards and other fora wherein people share facts, views and opinions. With respect to established institutions, particularly newspapers, the Online Journalism Review reports how the Washingtonpost.com made good use of the internet to expand the reach â€“ and revenue â€“ of its parent paper. Gauging from the number of advertisements in Inq7.net, the same may as well hold true in the Philippine setting. The vast reach and infinite potential of the internet is beyond dispute. Indeed, the easy transfer of information over the internet â€“ on real time basis and through territorial jurisdictions â€“ has opened great possibilities, both in terms of opportunities and problems. If you consider the huge amount of content written about almost everyone in the internet, it will not be long before someone gets really pissed and files a case for libel. In fact, there are already pending cases.